The AWEinspiring (Art, Water & Environment) Award celebrates an artwork, project or artist, recognising their contribution to The Chartered Institution of Water and Environmental Management’s (CIWEM) vision of putting creativity into the heart of environmental policy and action.Since its formation in 2007, the primary vision of CIWEM’s Art and Environment Network has been to put creativity at the heart of environmental policy and action. The Centre for Contemporary Art and the Natural World (CCANW) has joined CIWEM in creating the AWEinspiring (Art, Water & Environment) Award, giving it to The Harrisons in recognition of their unique contribution to public understanding of climate change through the vehicle of art and creativity, linked with science. Platform is launching a new art work ‘Two Degrees: Oil City’, a piece of site-specific immersive theatre going deep into the underbelly of London’s oil economy, on 10 – 23 June 2013. Each year, the Institute for Social Ecology hosts intensive seminars for students, activists, and community leaders to come together to explore sets of dynamic and urgent social and ecological issues. This year, the Institute for Social Ecology is thrilled to offer, for the first time, a seminar right in the heart of San Francisco. We will be partnering with the California Institute for Integral Studies based in the SOMA district and on major transit lines. Classes will include the politics and philosophy of Social Ecology, international social movements for direct democracy, alternatives to capitalism, climate justice with a focus and emphasis on urban housing and land struggles. We have designed this intensive to be a bit longer than previous programs so as to secure time for local field trips that will allow us to get to know the community and history in which we are studying. Social Ecology is an interdisciplinary perspective that weaves together aspects of ecology, philosophy, anthropology, and political theory. As a body of ideas, social ecology favors a moral economy over a market economy, while striving to foster human and biological diversity in a directly democratic world. 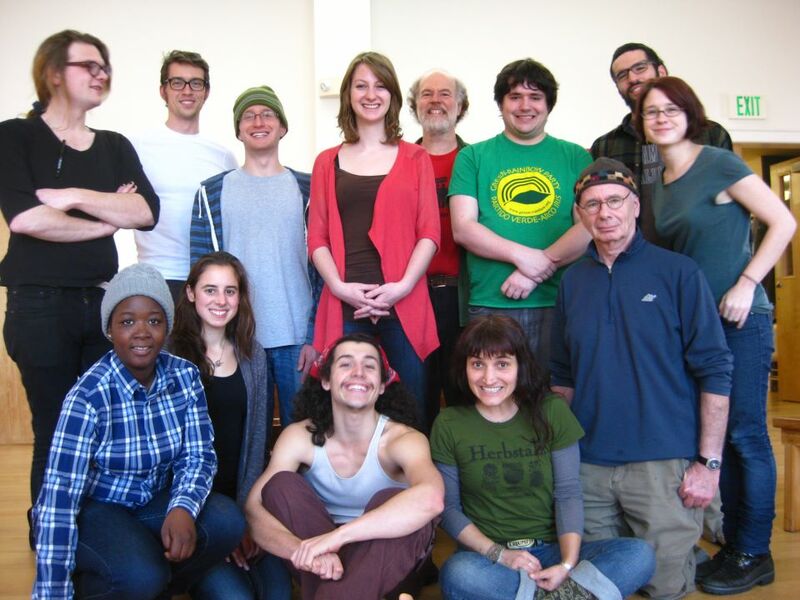 The Institute for Social Ecology (ISE) was founded in 1974 as an educational institution dedicated to the exploration of social ecology and its relationship to fields including philosophy, history, economics, the natural sciences, post-colonialism, and feminism. Historically, the ISE has been a pioneer in community-based approaches to alternative technologies, directly democratic organizing, and ecological urban design. ISE faculty, students, and alumna have played key roles in movements to challenge nuclear power, environmental racism, agricultural biotechnology, climate crisis, and global injustice. 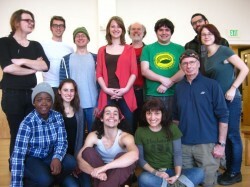 What is an ISE Intensive? The ISE organizes educational ‘intensive seminars’ that deepen students’ understanding of human/nature relationships, directly democratic movements, climate change, and the historical unfolding of Left politics. At ISE intensives, students establish links between their current political work on the ground to the ‘grounded theory’ of social ecology. In that spirit, the ISE has organized intensive seminars to among core Occupy NYC organizers while also fostering strategic ongoing movement-building in the New York area. Dan Chodorkoff is a cultural anthropologist and co-founder of the Institute for Social Ecology. He recently published his first novel,Loisaida, a reflection on the rich history of people’s struggles in New York’s Lower East Side. Chaia Heller is a cultural anthropologist and a professor of gender studies at Mt. Holyoke College. She is the author of Ecology of Everyday Life: Rethinking the Desire for Nature, and just released her second book, Food Farms and Solidarity: French Farmers Challenge Industrial Agriculture and Genetically Modified Crops. Peter Staudenmaier: What is Capitalism?/A Moral Economy: Around the world, people dissatisfied with global capitalism face challenging questions about what kind of society could replace the present one: How can we build amoral economy in the wreckage of a market economy? This course will explore how capitalism works and how a fundamentally different economic system can be both possible and practical. Peter Staudenmaier is a historian, and a professor of modern German history at Marquette University in Milwaukee, WI. He co-wrote the book Ecofascism: Lessons from the German Experience with Janet Beihl. Brian Tokar is currently the director of the Institute for Social Ecology and a lecturer of Environmental Studies at the University of Vermont. His most recent book is Toward Climate Justice: Perspectives on the Climate Crisis and Social Change. Hilary Moore is a founding member of Mobilization for Climate Justice- West in the Bay Area. She co-wrote the booklet Organizing Cools the Planet: Tools and Reflections to Navigate the Climate Crisis with Joshua Kahn Russell. James Tracy is an organizer with the San Francisco Community Land Trust and author of Hillbilly Nationalist, Urban Race Rebels , and Black Power: Community Organizing in Radical Times with Amy Sonnie. Andrej Grubacic: International Movements for Democracy: What is democracy? This class will focus on several historical instances of direct democracy. From the Cossak “krug,” to the pirate ship, and from the runnaway “palenque” of Maroons, to the Chiapas village assembly. Andrej Grubacic is a member of the International Council of the World Social Forum, the Industrial Workers of the World, and the Global Balkans Network. His most recent work is Don’t Mourn, Balkanize! Essays After Yugoslavia. *More teachers and evening speakers TBA. The Intensive will also offer a field trip to explore urban land straggles. 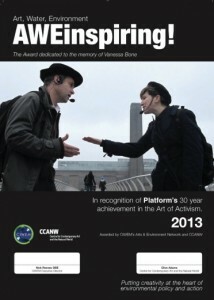 The Land Art Generator Initiative is honoured as a top sustainable solution at Rio+20! Sustainability legend Gro Harlem Brundtland, media guru and philanthropist Ted Turner, EU Commissioner for Climate Action Connie Hedegaard, and 150 VIP guests celebrated the first concrete outcome at Rio+20: The launch of Sustainia100. Download / read the complete “Sustainia100” here. One of the 100 (see pages 70-71) is titled, “ESTHETICS OF RENEWABLES” and is dedicated to the Land Art Generator Initiative project. “I am very excited and inspired by this as it makes it absolutely clear that our mission is possible. That we do have the ammunition we need to tackle this challenge. That we have what it takes to create fun and attractive societies without destroying our planet “ says Arnold Schwarzenegger, Honorary Chair of Sustainia. 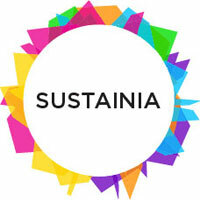 Sustainia100 solutions are nominees for the Sustainia Award, which honors outstanding performance within sustainability. The winner will be announced at a ceremony later this year in Copenhagen. 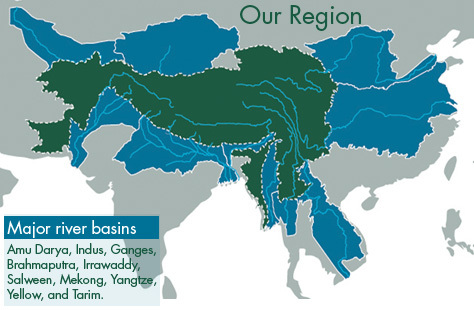 Special issue of Asia Pacific Mountain Courier on Youth and Climate Change. Art in all its forms is a powerful means of communication. The arts help overcome barriers of language and culture, and they provide a creative pathway for debating and exploring global problems. For young people concerned with climate change, the arts offer a way to reach out and raise awareness among their friends, in their communities, and in the world beyond. This issue of the Asia-Pacific Mountain Courier is devoted to artistic means of expression related to youth and climate. It builds on the previous issue on youth and climate published in November 2010, which focused on youth views, understanding, and climate change activities. The contributions include posters, photo essays, illustrations, and other art works. They are drawn from youth leaders and youth motivators affiliated to several networks promoting youth engagement in sustainability, climate action, and the mountain agenda. Many of the contributions are drawn from the Youth Forum #150; Empowering Youth with Earth Observation Information for Climate Actions, held from 1 to 6 October 2010 at ICIMOD in Kathmandu, and the Asia-Pacific Forum: Youth Action on Climate Change; Exploration through Cultural Expression, organised by the Southeast Asian Ministers of Education Organization (SEAMEO) from 24 to 27 January 2011 in Bangkok. This November 20-28, 350 EARTH will launch the world’s first ever global climate art project. In over a dozen places across the globe, citizens and artists will create massive public art installations to show how climate change is already impacting our world as well as offer visions of how we can solve the crisis. Each art installation will be large enough to be seen from space and documented by satellites generously provided by DigitalGlobe. 350 EARTH will be the first-ever global scale group show on the front line of climate change—our polluted cities, endangered forests, melting glaciers, and sinking coastlines. People around the world are invited to take part by attending signature events, submitting their own art, and spreading the word about the project. 350 EARTH will take place on the eve of the next United Nations climate meetings in Cancun, Mexico where delegates will work to create an international climate treaty. Our politicians have all the facts, figures, and graphs they need to solve the climate crisis. What they lack is the will. 350 EARTH will demonstrate the massive public support for bold climate action and the role that art can play in inspiring humanity to take on our greatest challenge: protecting the planet on which we live. About – 350 Earth Art. There are two aspects to this. Firstly it’s about how we behave ourselves. Art fairs, say, have become an example of the muscularity of the art industry. As curators/critics Maja and Reuben Fowkes have asked, is this world of global art jamborees a sustainable one? Gustav Metzger’s Reduce Art Flights was one of the artist’s passionate “appeals”, this time to the art world to reconsider how they had been seduced into transporting themselves and their works around the globe. Furtherfield.org’s We Won’t Fly For Art was equally explicit, asking artists to commit to opting out of the high profile career track that conflates your ability to command air tickets with success. Industries can change the way they behave. Tickell’s work with the music business has already shown how a cultural industry can transform itself in terms of process. But there’s also the role of art as a spoke in the wheel of culture. Science itself changes nothing. To become a transitional society requires more than policy. The real change must be cultural. So should climate be the subject matter of art? Pause for thought: Do we want rock stars enjoining us to change our ways? Please God, no. See? If it doesn’t work for rock music, why should it work for other art forms? “The visual arts offer a myriad of powerful ways to think and feel more deeply about our age and our humanity, but it is almost impossible to trace the causal links of how that may feed through to political engagement or behaviour change,” she cautions. It is time to accept that artists don’t simply ”do” climate. Even the most obviously campaigning art is of little value if it is simply reducible to being about climate. They may be inspired to create by the facts of science and economics, as Metzger and Ruth Catlow and Marc Garrett of Furtherfield were in those examples above, but if you asked them to make art about climate they’d almost certainly run a mile. What was interesting about the RA exhibition Earth: art of a changing world was the way that made that explicit. 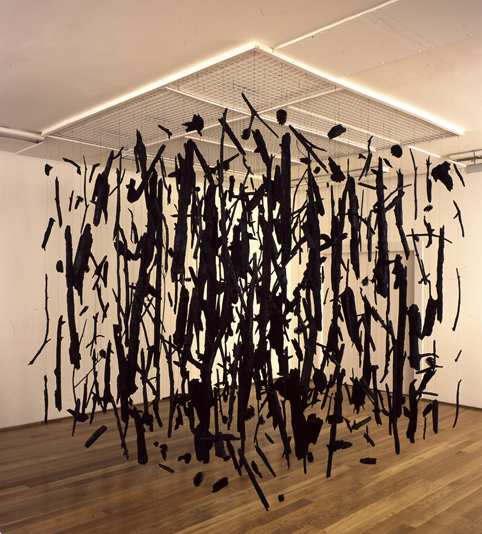 Artists like Cornelia Parker and Keith Tyson were clear in saying their pieces that they weren’t necessarily conceived with climate in mind at all, (though both are passionate about the subject). The decision to include Parker’s Heart of Darkness as an a piece of work to make us ponder the destruction of our planet was a curatorial one. There’s a kind of separation between church and state needed here; institutions shouldn’t just be looking to their carbon footprints, they should be looking to see how they can contextualise this cultural shift with what they show their audiences – whatever the artform. It is up to the curators, directors and art directors to take on this role. In this coming era, we urgently need events, exhibitions and festivals that make us feel more deeply about the change taking place around us – and we need them to find new audiences for those explorations too. But what we shouldn’t be doing is asking artists to make art about climate. On October 24th in conjunction with 350.org’s International Day of Climate Action, ecoartspace NYC will screen 3 films on a rotating schedule between 12 – 6pm. 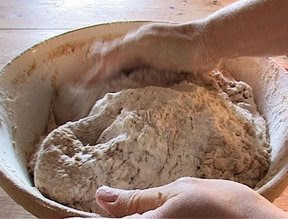 A poetic evocation on the alchemy of bread brings the act of baking the most basic of staples, into a high art form. As told by Eric Sanderson of the Mannahatta Project. Ever wondered what New York loo ked like before it was a city? Welcome to Mannahatta, 1609. Now, after nearly a decade of research, the Mannahatta Project at the Wildlife Conservation Society has un-covered the original ecology of Manhattan. Narrates the grave threat to the bee population including “colony collapse disorder” from the perspective of 6 Hudson Valley Beekeepers. People and animals at the bank of the Hudson River on the upper west side of Manhattan will gather with artist Aviva Rahmani as part of “350,” the largest global day of climate action ever. On October 24, 2009, Rahmani will alternately walk to the water and sing Puccinis aria “Vissi darte,” a capella, a song “about beauty and betrayal,” and stop at the shore to draw pictures of the waters, reflecting on “how they are rising in some places under the assault of global warming while in other places, fresh clean water is vanishing.” Simultaneously, people worldwide will be taking up to 4,000 similar actions, from climbers with 350 banners high on the melting slopes of Mount Everest to government officials in the Maldive Islands holding an underwater cabinet meeting to demand action on climate change before their nation disappears. 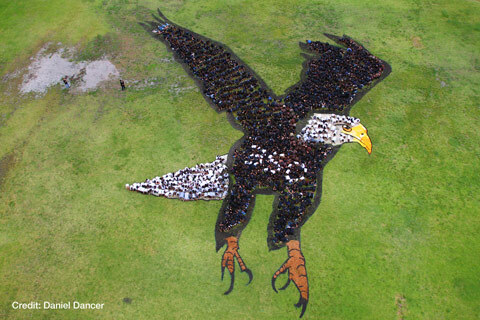 via APInews: Artists Take Part in Global Day of Climate Action .